Crafters In Disguise: Come See Us at Geek Girl Con '12! Cosplay or Costuming? What is “cosplay,” what is “costuming,” and how are they similar or different? How do you approach a new costume project? Costume Reproduction – when and how is accuracy important? Poses & Personality – how do you bring your character to life? We will be hosting our Intro to Costume Crafts and Cosplay panel for the second year in a row at Geek Girl Con! 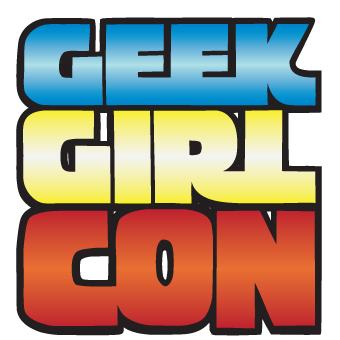 According to Geek Girl Con Sunday Programming the panel will be on Sunday, August 12, at 12:30 PM in RM204. Make sure you buy your tickets now before they sell out! Last year they did sell out, so folks showing up at the door were unable to purchase tickets. Don't be a sad panda and miss out on all the fun! The presentation the two of you did last year was one of the best costuming panels I've ever attended. So I highly recommend people attend this one!